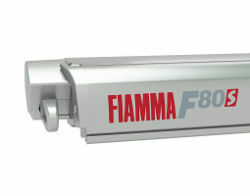 Fiamma motorhome awnings are manufactured at the Fiamma factory complex in Cardano al Campo, in Italy, using the latest technology. 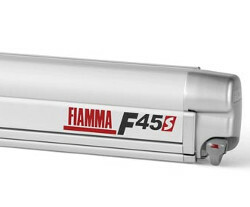 You can trust Fiamma, the inventors of case awnings for your motorhome and caravan. 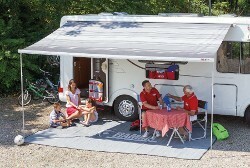 With a Fiamma awning you can double the living area of your motorhome in just a couple of minutes and begin enjoying a cool and covered open space. 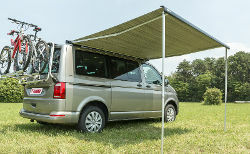 Fiamma awnings are ideal in case of light rain and shelter from the elements. 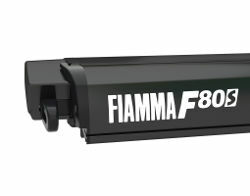 A Fiamma motorhome awning or Fiamma caravan awning provides the perfect opportunity to remove wet gear before entering the vehicle and with the addition of a Fiamma Privacy Room it is possible to create a weather-resistant enclosure. 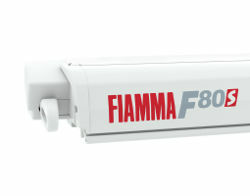 Fiamma awnings combine state of the art technology with original Italian design for an elegant, durable and affordable awning.